"Opening doors to MAXIMISE INDEPENDENCE"
Assessment for provision of specialist equipment for adults & children with complex and multiple disability. Enabling Solutions That Meet Complex 24-hour Posture Management Needs. Our specialist clinical team provide professional reports detailing postural analysis in order to inform the selection and trial of clinically appropriate solutions. Our team prides itself in taking a multi-disciplinary approach to your needs, all having significant post graduate training and relevant experience. With speialist clinicans based throughout the United Kingdom & Ireland, our service provision is both cost and time efficient for all. We work in conjunction with our trusted partners and equipment suppliers to facilitate a clinically appropriate solution(s) to meet your needs. With a robust assessment process, we can provide you with efficient and cost effective solutions. Products which maximise comfort, function and long term health. We teamed up with RMS Limited as part of Arab Health 2016. See our clinical director @ 0:01:25s. Together with infinite patience, this superb team devise, adjust and build unique seating arrangements which are not only comfortable but also go a long way to avoiding serious deterioration of our son's posture. These are always very happy occasions for everyone involved. Our family is indeed grateful for the dedication, skill and care of The Wheel of Health team. The therapist who assessed my client was professional, reassuring, very clinically skilled and experienced, and focussed on overcoming barriers to provide a solution to my client’s needs. Lucy’s team of highly respected clinicians at Wheel of Health provide a team of highly respected clinicians that have that specialist expertise in seating / positioning and wheelchairs. This really does help us here at Unique Mobility. 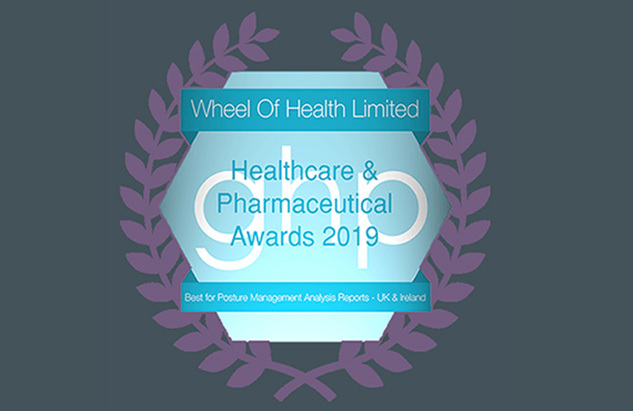 Wheel of Health over the last 8 years has enable us to design, build and successfully supply systems that have provided optimum levels of stability and comfort, whilst a rigorous programme of ongoing clinical review ensures any postural and or growth changes are proactively acted upon. Specialist clinical and postural skills provided by our partner Wheel of Health continue to provide long term client satisfaction.By close collaboration and ongoing innovation they continue to search out solutions for the well being of clients both now and into the future. I can be confident that their associates are highly specialised, professional, sensitive to my client’s life circumstances, knowledgeable and able to give a positive experience to support clients at a time when they most need it. Wheelchair and 24-Hour Posture Management is our specialty. Providing solutions and resources you need in support of your independence. From initial contact, to liaison, to final fit, with ongoing support and ongoing reviews to suit you, we’ve got you covered. At Wheel of Health we care about your future, if we can help you further then please contact us. Our head office is based in Southampton, Hampshire and we are always on the end of the phone to help you.